Virus is known to most of the people because we usually hear about viral infections, such as flu. Viral infection can make a person very ill, and many viral infections even cause death, such as AIDS. Moreover, they also have the ability to infect all kinds of living things, which include plants, animals, and bacteria. Viruses are very small non-living things which are mostly made of some genetic materials, such as DNA or RNA. The genetic material of a virus is protected inside a special coating of proteins until they reach a living organism. When viruses somehow enter the body of any living thing (e.g. animals or bacteria) they start taking over the cells of the body. They get the control of a living cell by injecting their own genetic material (RNA or DNA) into the cell which interacts with DNA of that cell. The result is that the infected cell will now make more viruses from which it is infected, and the infection will be transferred from one cell to another. Viruses are dead because they lack some characteristics that every living thing possess. Some of these characteristics include their inability to reproduce themselves, and they can’t process the food to make energy for themselves. They rely on living things for reproduction and getting energy. A virus is nothing more than a particle if they are not inside a living organism. They lack the organized structure which the living cells have. They are made of genetic materials inside a protective casing of proteins, and they don’t have a nucleus. Mostly they can have one strand of DNA, but two or more strands are also possible. Viruses become active only when they enter the body of living Otherwise, they are inactive. Also, they can be crystalized similar to salt crystals or sugar candy. When a virus enters in living organisms, it starts to invade the cells and multiplies quickly. As their number grows, the person who is infected with the virus will become sick. There are many types of diseases that viruses can cause in a person or other living things. For example, influenza, which is commonly referred to as flu, is the result of viral infection. 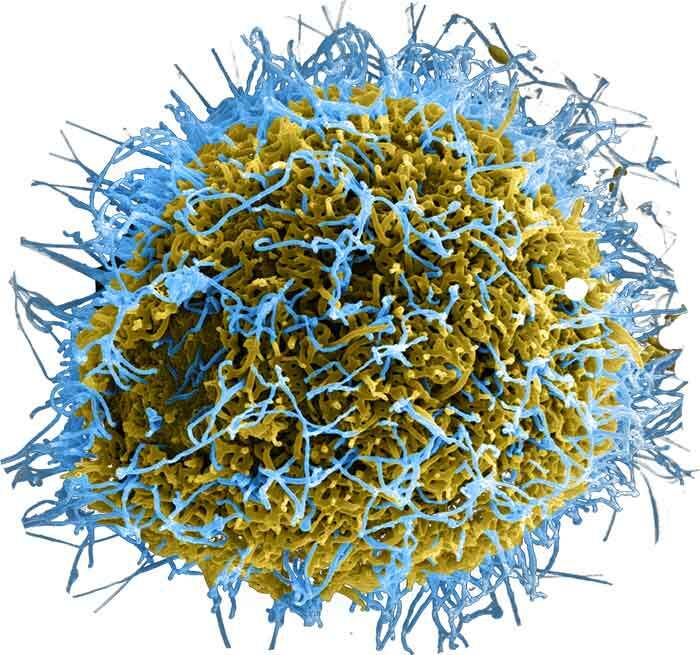 Viruses are very small – even smaller than the living cells – which make them lightweight. Due to this reason, they can float easily in air and water – making air and water contaminated. When someone comes in contaminated air or water, he can get infected with the virus. Viruses also spread from one person to another when shaking hands, touching virus-contaminated things, or getting a bite from insects which are already infected. There is a very small number of treatments available for viral infections. Because many types of viruses are able to hide in the healthy cells which make it difficult to eliminate them completely. When viruses enter in our bodies, our immune system builds a response against them for their elimination before they can multiply. 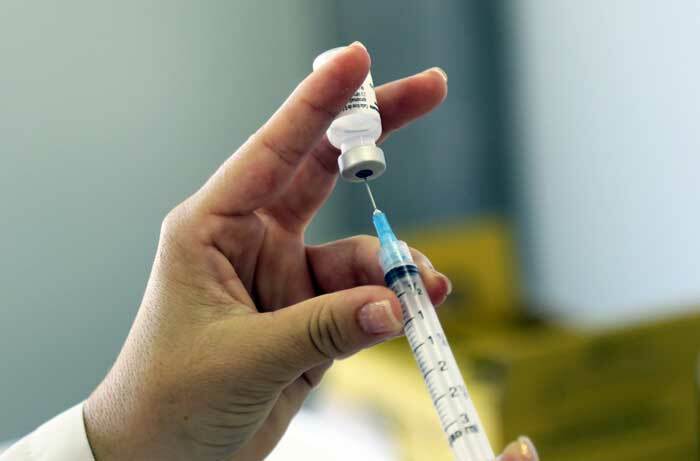 There are many vaccines available for the prevention of viral infection. Vaccines are filled with modified form the infectious disease that we want to prevent. The modified form is not able to cause any harm to our body, it only triggers the immune system to make antibodies against those diseases. So in future, if that disease comes to invade our body, it will quickly be destroyed. For example, the vaccine to prevent from flu virus is taken by people every year to stay healthy against cold caused by flu. Those viruses which contain RNA instead of DNA is their protein shells are referred to as retroviruses. There are 6 main kingdoms of living things, and viruses don’t belong to any one of them. Abdul Wahab, "Virus," in Science4Fun, April 12, 2019, http://science4fun.info/virus/.